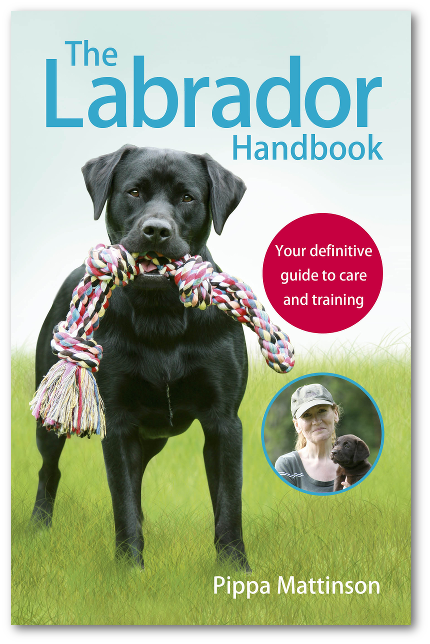 Home Labrador Health Why Does My Labrador Eat Grass? 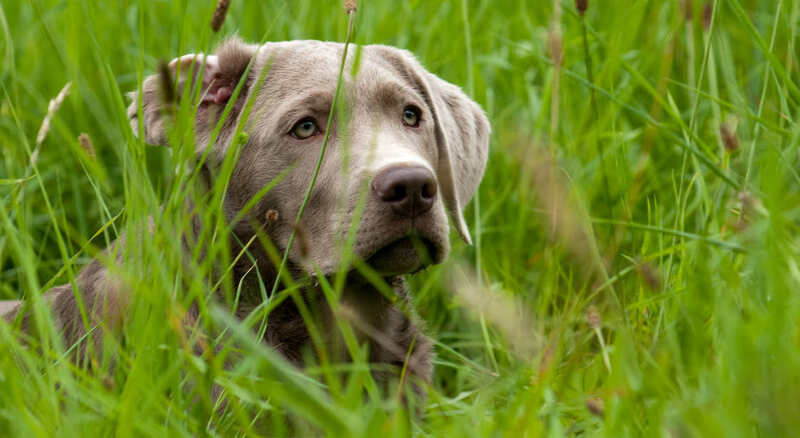 Why Does My Labrador Eat Grass? Does your Labrador eat grass? You probably feel like this is a rather odd way for a carnivore to behave. But it is surprisingly common. 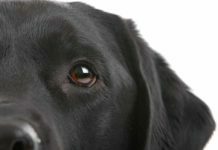 [wp_ad_camp_5]In this article we are going to take a look at why your Labrador is eating grass, and what can be done about it. Is he ‘going vegetarian’? Is he ill? Or even slightly mad? Let’s have a look! Is a dog eating grass normal behaviour? The first thing to point out is that almost all dogs eat grass from time to time. 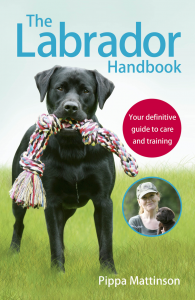 So, even if your Labrador does a passable impersonation of a grazing sheep on his daily walks, you probably don’t need to take him for therapy. Some dogs caper about wildly whilst they ‘graze’, racing here and there, exuberantly. [wp_ad_camp_2]Snatching at great clumps of grass in a manic display of silliness. Again, although occasionally, a dog that behaves this way may have some kind of obsessive-compulsive disorder, such disorders are rare. Snatching and chomping at grass, however crazy your dog may seem, is not usually a sign that your dog is deranged. One long standing theory about grass eating is that dogs do it to relieve stomach upsets. In 2008 a study was carried out which tried to test this theory. The remainder of the dogs (the control group) were not subjected to the intestinal upset. The researchers then gave the dogs access to two common types of grass. The results were quite surprising. The dogs in good health actually ate more of the grass than the dogs with upset stomachs. In addition, out of over three hundred dogs, grass eating was only followed by vomiting in two of them. 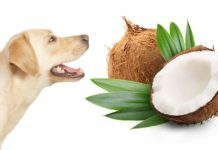 Unfortunately, whilst interesting, all the study really showed was that dogs who have been fed fruit sugars, don’t use grass to relieve their symptoms. 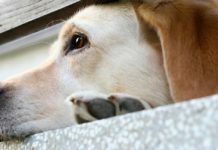 It doesn’t really address a dog’s response to other types of gastric disorder or nausea. Nor does it address the question of parasites. Do dogs eat grass to get rid of parasites? My mother used to tell me that dogs eat grass to get rid of worms. 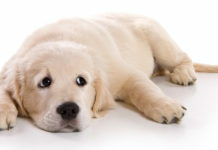 If my dogs start eating grass, one of the first things I do is to check their worming status, and if they have not been wormed recently, then I treat them. Opinion seems divided as to whether or not this is just a myth, but I don’t believe anyone has put this theory to the test with a proper controlled study. Does grass have dog nutrients? There are also theories that there may also be times when grass is actually an attractive addition to your dog’s diet. Fresh, newly growing spring grass, for example, is rich in nutrients. As dogs are not normally able to effectively digest plant material, unless it has been broken down in some way (crushed or semi-digested). [wp_ad_camp_1]If your dog eats grass, you are in good company. Most dogs do this from time to time. It is possible that your dog occasionally eats grass to dislodge parasites or to induce vomiting. But most of the time, we just don’t know why dogs do this. Obviously, if your dog is regularly vomiting for whatever reason, he needs to see a vet. But happy grass chomping without side effects, in an otherwise healthy dog, is simply nothing to worry about. Does your dog eat grass? Do you think he enjoys it? I have a retired breeder from a guide dog school. She and all her offspring really graze. In fact every dog I’ve cared for from the school eats grass. It doesn’t seem to hurt them. They just chomp away. The vets at the school aren’t concerned so I’m not either. I just make sure there are no harmful chemicals on the lawn. My lab only ever ate grass occasionally, however I have noticed a big increase in grass consumption since she started displaying symptoms of arthritis. The worse the arthritis has got over the past 6 months the greater her consumption of grass. Is there any research that links it to pain relief? My black lab who is 9 months old will eat grass from time to time but today he eat some grass and then vomited and it was a little foamy as well. I’m worried and I’m not sure if he’s sick. He was completely fine all day, he was chewing on one of his favorite bones deer antlers but then I took him outside and this happened he then came in and drank a lot of water and now he’s laying down. Please help! My black lab is highly allergic to five types of common grass. He grabs clumps of it and runs around like a maniac then starts wobbling around and losing his footing like he is very unwell ???????????? Thank you all so much for your comments on this as it’s been very helpful. We have just got a 10 week old lab – he’s gorgeous but loves to eat all manner of plants and grass in the garden and I’ve been unsure when to stop him. I tend to when it’s shrubs and plants as I’m not sure what’s poisonous to him – any advice on this? My golden never bothered with plants, flowers or shrubs, he is 9yrs old and in great health, my lab who is 4 mths. i had to rip our entire garden out because he was fond of trying to eat plants that were poisonous to him. My garden is now very ugly, but my boy is safe from being poisoned. I had noticed my Lab eating grass many times over the past eight months but thought at first he was trying to satisfy his thirst because he tended to do it when the grass was wet from an overnight rainfall or the morning dew. This morning he ate grass after doing his morning business and then proceeded to vomit. He even sat down as he was regurgitating the grass. This morning was the first time he stopped and went through the grass eating synario twice. After he finished he pranced home and ate his morning meal, no problem. I was very glad to discover your web site. I will be reading all of the articles because on the questions my wife and I have had with Max ever since he discovered us last July 5th. I was weeding in the front yard and he came up from behind me and stuck his black head through my legs. We live in Black Bear country so after I was able to get my heart back down from the rooftop, I took him to the front door, rang the bell and when my wife came to the door with a puzzled look on her face, I point to the dog and said: “Mommy he followed me home, can I keep him?” Of course, she fell in love with him right away and let him in. After checking with the Humane Society we found a chip but all the numbers were disconnected. We ran the required lost dog ads with a picture but received no response. After the waiting period the Humane Society called and said he was our dog. It has been a very rewarding experience, even healthy. I’ve lost 10 pounds! have a five year old lab/retriever cross who has always eaten grass, he doesn’t eat large quantities just grabs a few pieces every now and again while on his walks, it never makes him sick he just likes it, it can show up undigested in his poo but has never been a problem as he doesn’t eat huge amounts. My 4 year old lab eats grass every time we go out for a walk. He doesn’t do it to make himself sick. I’ve always wondered why he does it. Our other dog that we lost a few years ago (not a lab) only ate grass to make herself sick. 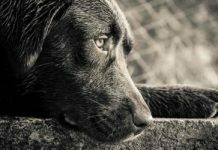 I have a chocolate lab whos 16 months old and at the minute eats grass every day and is never sick.i thought it was because we recently sowed a new lawn and this was the attraction.hes a healthy lab with a shiney coat I can only presume its doing more good than harm.helpful article. I have a lab that loves to eat romaine lettuce, so he gets what I don’t put into my salad. Reading the above article has giving me a conclusion based on my experience with my 5 years old Labrador which I’m pretty sure he’s completely clean of any sort of parasites and worms, the other matter is that he munches almost always on grass and always vomits afterward. So keeping in mind that he’s perfectly healthy and fit, my conclusion is that he’s eating grass for one purpose: cleaning his stomach from the unwanted digested food. What a rubbish article! The title was why does your dog eat grass? After finishing ,the conclusion was ,we don’t know! What a waste of time to even have this up here! That is 5 minutes of my life I won’t be getting back! And another couple of minutes wasted writing a useless response!! How rude :(( Everyone else seemed to enjoy reading it. Our 8 year old and 3 year old daughter both nibble, Mum probably more so but never to any ill effect. When the grass is dewy I think they like the refreshing moisture too. Keeps things moving internally I think. Our 3 labs Clara, Rosie & Bobbie are all grass munchers, on nearly every walk, especially on their morning walks, when the grass is damp. They love it…..
My dog loves munching on grass (especially sweet spring grass) to the extent that it is now one of the biggest challenges in the “Total Recall” programme I am working on! He will often stop to ” graze” and becomes so engrossed he develops selective hearing and ignores my calls for him to come. It is obviously very self- rewarding for him so I need to carefully plan using the recall whistle and more attractive rewards. My dog used to be a serial chomper of grass until she developed an upset stomach. She was vomiting, off her food and had runny poos. The vet could feel something in her abdomen, I knew she hadn’t eaten anything she shouldn’t have. I told the vet she had eaten grass, but he said it wouldn’t have that effect. He was wrong, 2 days later she passed a huge rope like mass of grass. She had eaten so much long grass and not chewed it, it had formed a rope and started to block her intestines. Grass is indigestible and could cause a blockage, she was lucky she didn’t need surgery. every time i take my dogs for walks they have always eaten grass, never had any problems at all, maybe in the spring i might not let them eat as much, because if horses eat to much spring grass they can get laminitus, im not saying that the dogs would have it, but just do it as a precaution. My 15 week old chocolate lab puppy loves to nibble on grass and has never shown tummy problems or vomiting from it. I almost think that she just has a fascination with it! She does, however, pick up sticks and rocks which I remove from her mouth. Unfortunately, she sees my attempt to remove these objects from her mouth as a game of keep-away, so I have to chase her first. I’ll have to work on teaching her “drop it”. Hmm… I was quite convinced the mystery of grass eating was already solved. At least I have been blissfully happy with the hypotheses that says: dogs eat grass to get fibers. Dogs (wolves) as well as humans need fibers to swipe clean our intestines and avoid constipation. It is also possible that due to warming weather in the springtime the potential of the bacteria – living inside guts and taking part of the digestion process – is getting “too good” living conditions and might multiply too quickly becoming eventually harmful to their guts. And evolution has “taught” our 4-legged friends that to shorten the time food spends inside of them is on these conditions a good idea. It is true that all dog food products nowadays consist largely of fibers – it is after all the cheapest and most fulfilling part of a meal. But it cannot annul hundreds of thousands of canine evolution. P.S. Adding raspberries, broccoli, apples, whole-grain products to our human diet does wonders for your stomach too – try it. My lab is happy with just grass. To counter my bacteria explanation (after all I don’t know how stomach temperatures of dogs and the weather correlate), one more hypotheses for eating fibers: on warm weather it takes less energy to maintain body temperature. So canines eat more fibers to not take all the calories out of the eaten food (they excrement them). Why they still eat the same amount? Because of “empty stomach hormones” are not so flexible, or because wolves ate always as much as possible, because of the potential future famine. Another hypotheses concluding from that would be: overweight dogs eat (more) grass. 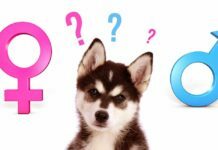 It would explain why dogs whose stomachs didn’t function properly and were therefore more stressed about having more energy stored in their body to withstand the potential starving during illness. My Shelby is a Purebred Labrador and she Grass at any and all Opportunity that she could, She was only Sick once from Eating Grass. But up until she Passed away it was a regular part of her diet, it just passed through her. the only time she missed it was in the Winter time, But she munched it Daily for years with not Ill effects at all. I called her my little Cow, I was just waiting for her to start Mooing Lol…. Not only does my puppy (about 10 weeks) eat grass, but he loves to eat dead leaves too. Is this normal for a puppy? My 2-year old black lab LOVES eating fresh shoots of grass and likes to run through fields of young wheat taking mouthfuls! The only problem we have is when only half a blade of grass comes out the other end!!! My Lab has favourite patches of grass on three of our regular walks. He always stops for a munch and is never sick, so I don’t worry about it. He never eats any other grass on the walks, so I just guess there’s something particularly tasty about those clumps of grass and he just likes them. My dog definitely eats grass and out of all the times he’s done so, he’s only vomited once. He seems to have pica and eats even stranger things. He eats dirt, Kleenex, birdseed and feces. The eating of feces seems to be seasonal, only during fall and winter. His eating birdseed has caused him to get coccidiosis twice. So I have to watch him closely. My lab eats grass on every walk when it’s available. It doesn’t seem to bother him so we don’t worry about it. We do try to stop him from eating grass that may have been treated by chemicals though. My question is why, oh WHY does he love to roll in dead animals??? Not pnly does our dog eat grass, but she eats mulch too. This can’t be good for her but she can’t be stopped…help! Especially watch out for cocoa mulch. It is made from the cocoa bean (chocolate) which we all know can be fatal to dogs. My 10yr old lab is a grazer has been all her life she even eats the dirt we rescued her from a farm so I’ve always said thats why? Oh I’m so grateful for this article!! My Labrador, Nell, spends ages grazing in the Spring and I think she just likes it! It’s certainly difficult to recall her once she starts chomping! It’s only ever a certain type of grass, and my previous two labs have done the same with the same type of grass. Very interesting! Murphy (7 months) used to eat grass all the time from 3 months old. This suddenly stopped at 6 months but he has now started again, eating the “dead/brown” grass where he wee`s in the garden. Whilst out walking he hardly ever eats grass! Speaking to various owners and my vet there seems to be no common denominator as to why. He`s never vomited after eating and the stools are consistant. We`ve started feeding a few raw vegetables (carrot, brocoli etc.) into his kibble to see if this effects his habit . Yes – got a grass chomper here! Lady loves certain types of grass and young wheat shoots especially (sh! don’t tell the farmer). No ill effects apparent except grass is obviously not very digestible and if she’s been chomping very long grass we’ve had the occasional “extra tail” experience which was not much fun to deal with.